The Oregon Coast has called me. 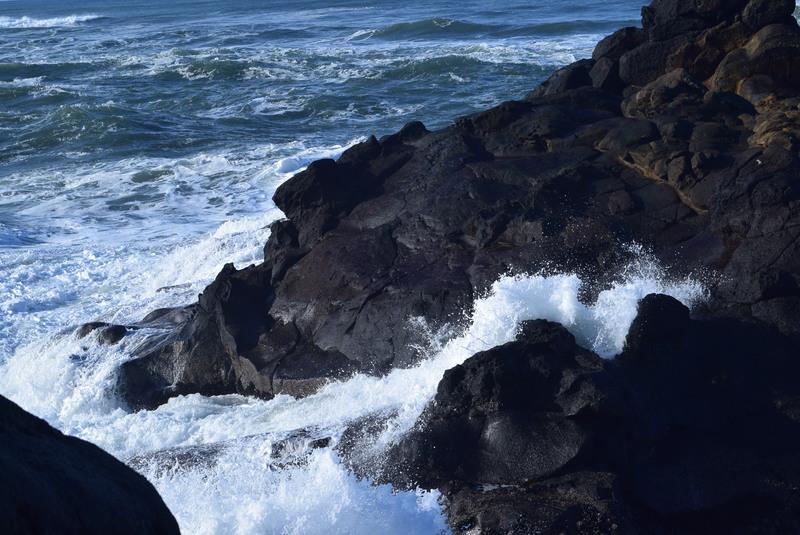 The wildness of winter waves… the surging power of the ocean, frothing forth against the rugged shoreline. Its raw powerful beauty provides a heart-inspired thrill that rushes through my body. Anticipation of the next explosive burst of spray – at that very moment the wave peaks. I can sit for hours watching this motion. A thrilling form of meditation for certain! And in the early morning hours before my family has awoken, I sit in my own special meditation beside a warm fireplace, my feet up, taking in the expansive view of awe-inspired ocean just out my window. In quiet contemplation, I sit pondering the New Year that dawns before me. It occurs to me that the powerful intensity of the winter ocean is how I want to step into the new year. Full of explosive energy. For I have things to deliver into the world! The dawning of each New Year brings dreams of new possibilities and hopes for what’s next in our lives. We call out to new visions… to find a new job, to start a new business, to write a book, open that restaurant, get healthy, meet the man or woman of your dreams, to play more, exercise more, start a family, create more art, sing and dance, travel. The list is endless, and only you know what your heart longs for. Yet so often the New Year is accompanied by resolutions that quickly sputter into hollow declarations that get lost in the busy-ness of life. 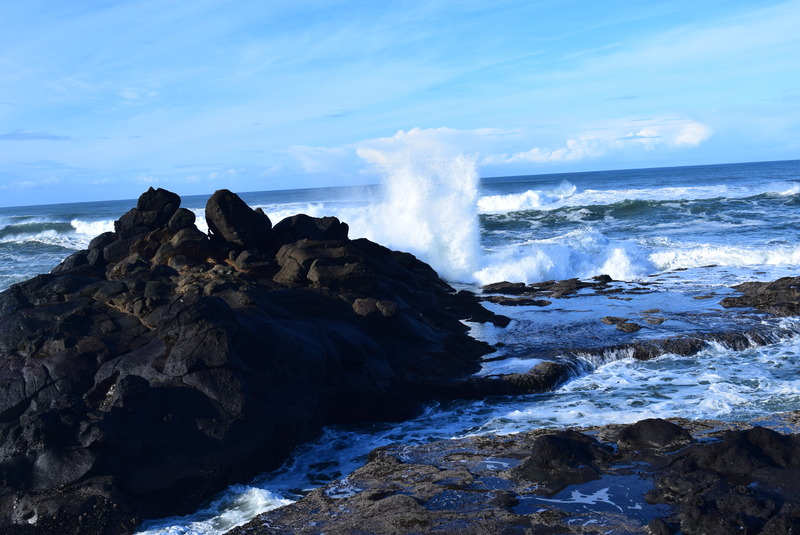 Today, as I sit on the Oregon coast, I set the intention for you and for me. May we burst forth into this next year, with the intensity of the Oregon winter waves before me. Full of big energy, exploding into the world with nature’s rawness and beauty. If you are ready to make this next year that monumental year that you courageously stepped into all your dreams and hopes, I invite you to journey into your possibilities! Take time in quiet contemplation wherever you are. Discover your own personal form of meditation that works best for you. Is it in a peaceful snowshoe through the woods or in a contemplative moment in music? Journaling, hiking, drawing or jogging on the treadmill? Play in the space that let’s your mind dance in possibilities. Then begin to design your story! What is the story in you that has been waiting to be told? I invite you to open your world to the possibilities that your heart is wanting you to explore. The ideas that sit quietly at the back of your mind, awaiting their escape, if you would only open the door. The ideas that you’ve thought about for years, but you have always set aside for another time. What if this is the year that these ideas let loose? Give your story life. Take time to paint the vision of this dream. Write about your aspirations. Envision your day, the people around you and how you spend your time. How does your heart feel in this unfolding story? Invite your inner mentor into your story. Your inner mentor is you 20 years from now – that wise you, who knows all your gifts you bring into the world. Your inner mentor is courageous and lives full-out and large, with an energy that bursts forth like the mighty ocean waves that crash to the shoreline. Let this energy fuel your story. Consider what your inner mentor wants you to know. Surround yourself with people you love and people who inspire you. Consider their role in your story. Their gifts to your journey will and should vary. Some are supportive and inspirational, helping you step more boldly into the possibilities. Others provide a foundational grounding. Still others will challenge you. Each is important in your journey. They have come into your life for reason. Consider the lesson. Share your story! Fuel life into it every day. Let your enthusiasm spread. Step into action! Take time each day to hold yourself accountable for one small step toward your vision. You create new possibilities with daily action – no matter how small. Celebrate your action! Happy New Year my friends! Write me and tell me your story! Let the new year be YOUR year! It can be the year of powerful waves unleashed into YOUR world! And if you want some added energy to your story, call me and I’ll offer you one of my complimentary Yes-to-You Strategy Sessions – a 45 minute burst of inspiration to fuel your journey!